People might be too busy dodging cankerworms and their webbing to notice there's been something missing from a typical Winnipeg summer — mosquitoes. For the first time in almost four decades, the mosquito traps are registering close to nil. "They've been hovering between zero and one for the last two months. It's phenomenal to get something like this for low mosquito counts," said Ken Nawolsky, the city's superintendent of insect control. "We're very much in uncharted territory in terms of having trap counts that low. We were looking at our records a couple of days ago and it's back to the 1970s, so we're counting our blessings. "For the first part of this season, we were focusing on the tree caterpillars that infested Winnipeg, so that kind of replaced the mosquitoes, we were so busy with that. Now that we're into strictly mosquito control, it's kind of nice to have a bit of a breather," he said. "But we know weather can change very quickly on us so we're enjoying it as it is." The city doesn't fog neighbourhoods with pesticides to combat mosquitoes until the overall trap count is above 25 for two consecutive days and at least one quadrant of the city has an average trap count above 100. But the city starts attacking the mosquito population long before that, going after insect larvae while they're still just wiggling in the aquatic stage. They do that by spraying larvicide in standing water sites in and around Winnipeg and up to 10 kilometres outside the city limits. "We're actively treating that. If we didn't, we would definitely notice the trap counts going to at least 25 or more," Nawolsky said. In many years, it can be a battle, as a rainy spring and early summer can result in a lot of water-filled ditches and other low-lying areas. But this year, the larviciding program has kept up with standing water as most rainfalls have been moderate, Nawolsky said, adding the ground has also been absorbing much of the precipitation. "In the last three years, we've been getting very significant rains happening all at once, so you'll get three- to four-inch rains and then nothing for a month. And then it would rain again like that," he said. "This year the rain has been much more spread out, much more normal, and that allows us to get to those sites in a timely manner and doesn't flood all the mosquito eggs out at one time." Even with the recent rain, he doesn't expect many mosquitoes to hatch by the long weekend and put a bite on Canada Day celebrations. "We're not expecting the trap counts to go up significantly. They may go up to five or six, something like that, but people really shouldn't notice any mosquitoes out for the long weekend," he said. The likelihood of crews even needing to fog against adult mosquitoes this year is diminishing every day. "Historically, if we go according to averages, typically there could be two fogging programs — one in June and one in August," Nawolsky said. "I'd say we've passed the threshold in June and typically the rain pattern happens again in early August, so we'll just have to see what the weather brings. The probability is getting less and less." Be warned, however, if your long weekend plans take you outside of Winnipeg. It could be a very different story where there is no mosquito prevention, Nawolsky said. 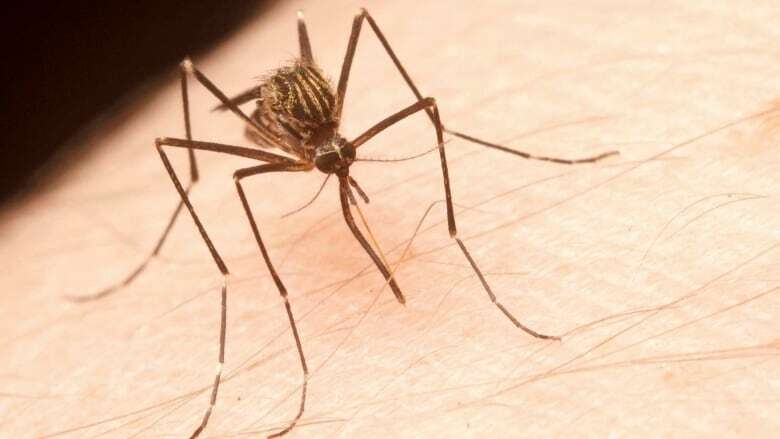 "I've been hearing anecdotally from people who've been in cottage country and a few areas where no larviciding is occurring, the mosquito counts are definitely higher and they definitely notice them during the nighttime when they're most active," he said. "They haven't had very significant precipitation, but enough to where the mosquitoes would be a little bit annoying for people outside."